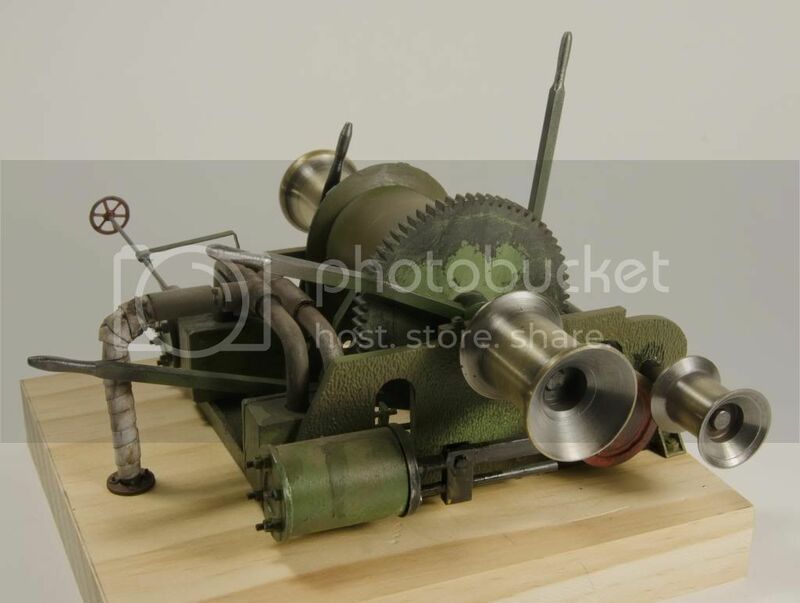 Westlake Publishing Forums > General Category > Maritime Modeling > Deck mounted steam winch? 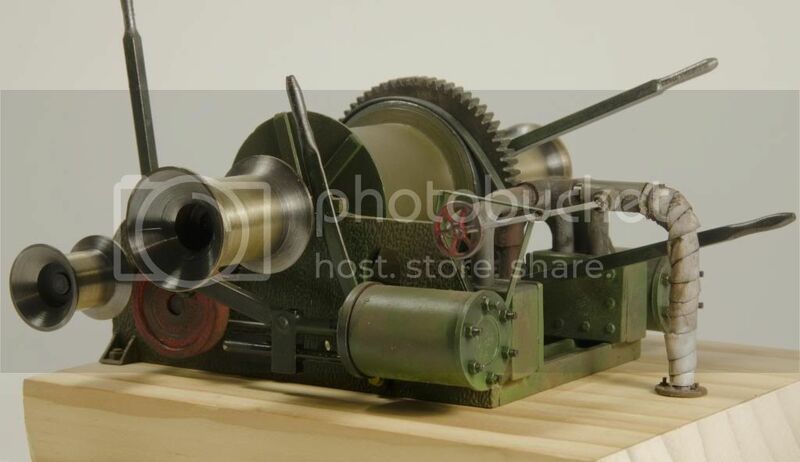 Re: Deck mounted steam winch? After you dye the parts will they then hold paint? The dye does not make them hold paint, it just colors them. 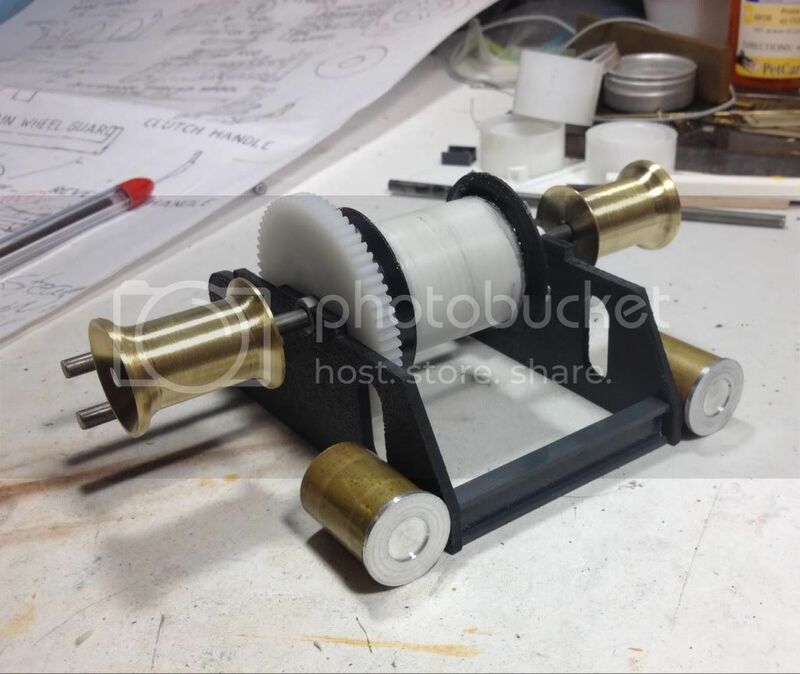 If you guys recall I have used a few of these gears previously. Got the large capstans fabricated. They started life as 1 1/2" long pieces of 1" bar. Your usual fine machine work. They look great. Good looking winch. Are you going to make the plumbing out of brass? I need to scratch one for a tug boat in 1/48 scale and the info in this thread has been invaluable. Looking good Marty. Welcome back. I would get a hold of a CHB "donkey" to use as a start for a winch in 1:48. Anyway, I am finished with the winch. I'm happy but not excited about the end result. I think not having any good plans or reference photos really killed my enthusiasm. I had to make a lot of "assumptions" which I don't like to do. I'm hoping to get back on the Shay and machine shop next! Well You should be that is beautifully done!!! But what am I missing, I don't see the steam exhaust? The main side plates seem strange. Every donkey or hoist I have seen used a cast iron side plate and it had openings and ridges around the edge and openings cast in. But you probably know more than me. Looks like a live steamer and could work. Kemtron used to and may still sell accurate donkey engine and hoist plans drawn up by the late and great Al Armitage. Looks great to me. Glad your going back to the Shay!!! How did you finish the brass parts? Is it some sort of plating? Thanks guys, your too kind! Norcal - the steam exhaust is closest to the main drum and goes straight down. Max your right, i should have added the perpendicular plates or ridges. Hauk I dipped the brass capstans into a blackening agent, they went really dark! I could not get the effect to work on any other brass I have. They are the best part of the model - I think!